The holiday events are starting up so check out the lights, the train and the music to get you and yours into the holiday spirit! The Holiday Lights Spectacular will take place every night from December 11 to January 2, 2018, except on December 24 and 25. Join a surprise chemistry exploration in our BASF Kids’ Lab. Each child will receive a BASF backpack with lab goodies inside. (If you already have a backpack, please bring your goggles and apron with you). Programs run 45 minutes in length and begin promptly at 10:00 a.m. Plan to arrive by 9:45 a.m. to check in. The trains run daily between December 17 and 31, except on Christmas Day. 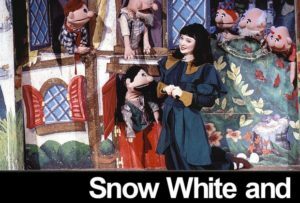 The familiar tale of Snow White is given a new twist with actors and puppets portraying the characters. Snow White’s stepmother becomes jealous of the young girl and schemes to rid herself of the beautiful maiden. The princess bites a poisoned apple and falls under a deep spell of slumber. The dwarves who have taken care of her are overcome with grief. Soon, a handsome prince comes riding by, sees the beautiful princess and kisses her, breaking the spell. Happiness ensues as the kingdom welcomes back its beloved princess, and the royal prince. The Laurie Berkner Band celebrates the season with traditional holiday songs, originals from her well-loved album A Laurie Berkner Christmas, Hanukkah music and an array of Laurie’s greatest hits. 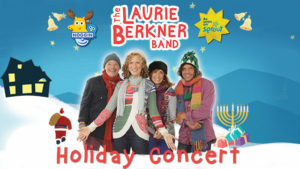 In her holiday shows, Laurie and her longtime collaborators Susie Lampert, Bob Golden, and Brady Rymer — the “band” — will celebrate the season with such traditional, secular songs as “Jingle Bells” and “Frosty the Snowman,” plus originals from Laurie’s well-loved album A Laurie Berkner Christmas like “Santa’s Coming to My House Tonight.” Laurie and the band will pay tribute to Hanukkah with “Candle Chase” and “The Dreidel Song.” They’ll also perform an array of Laurie’s greatest hits, such as “We Are the Dinosaurs,” “Victor Vito,” and “Pig on Her Head,” along with several soon-to-be-classics from Laurie’s new album Superhero. Kids should plan to bring their dancing shoes and a stuffed album (for their heads), and Laurie hopes everyone will join in the holiday spirit and sing along! A house full of teenagers!